Travelling to Japan is a bucket-list experience for many. Though a lot of travellers are drawn by the bright lights and big city feels of Tokyo, venturing outside of the Japanese capital and heading southwards towards the Kansai region of Japan is also incredibly rewarding. Also known locally as the “Kinki Region”, Kansai is comprised of seven different prefectures. For several centuries, Kansai was the most important region of Japan. Kansai was once a hub of political and economic activity and indeed, Kyoto was the ancient Japanese capital. It goes without saying then, that the region is filled with ancient temples, history, and fascinating traditions. 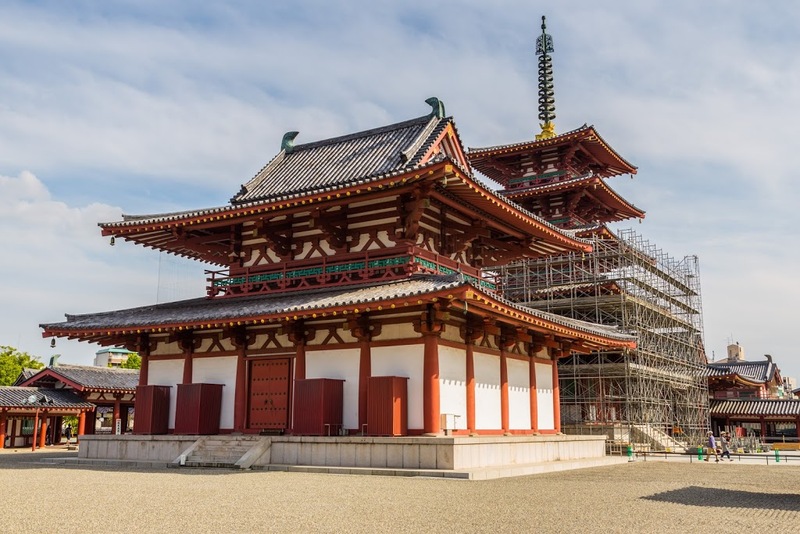 Within the seven prefectures, there is plenty to explore in Kansai, however the cities of Osaka, Kyoto and Hyogo are among the most notable, and perhaps the most rewarding to visit if you are limited on time. 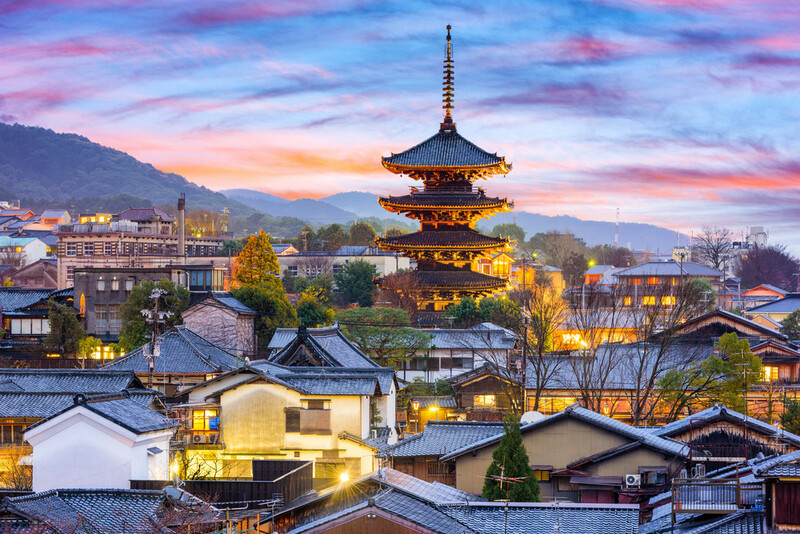 The capital of Japan for many centuries, Kyoto is brimming with history. More than that though, Kyoto just possesses an undeniable charm that makes even the most hardened travellers fall in love. Where fragrant cherry blossoms blow in the wind, where thousands of ornately decorated temples await the traveller and wear mysterious Shinto shrines and zen gardens make every turn a photo opportunity, Kyoto is without a shadow of a doubt one of the most beautiful places in Japan. There are over 1,600 Buddhist temples scattered throughout this picturesque city, each with their own unique design and personality. The iconic Fushimi Inari shrine is located here and is a must-see for any Japan itinerary. Exploring this shrine means passing through hundreds of vermillion coloured gates as you proceed to the mountain peak and stunning views over Kyoto city. You could spend weeks exploring Kyoto’s temples and never see them all. Kyoto is one of the only places in Japan that still has a working Geisha district. In the quaint alleyways of Gion, travellers may catch a glimpse of Geiko and Meiko (trainee geisha) shuffling along from appointment to appointment in exquisite kimonos. There is also the opportunity to watch the show at Gion corner, to see what life like a Geisha actually means and enjoy traditional performances that are still loved in Japan today. Spending a few days in Osaka is a must while in the Kansai region of Japan. You can get a feel for the city and most of what it has to offer in a day or so. Dubbed the kitchen of Japan, foodie travellers will be in their element browsing the various street markets here and sampling the local delicacies. Don’t miss okonomiyaki – the Japanese answer to the pizza, or fugu – Japanese blowfish. Osaka is home to Shitteno-Ji, the oldest Buddhist temple in Japan so there is certainly history here. With that said, it is the various neighbourhoods of Osaka, each with their own distinct personalities, that is sure to steal your heart. Shinsekai neighbourhood is an entertainment district that was built before the second world war and still retains its old-fashioned charm with its wooden restaurants and traditional gaming arcades. When the sun goes down, head over to Dotonburi. Essentially the Times Square of Japan, Dotonbori is instantly recognisable from the flashing neon Glico man sign that is so commonly photographed and discussed in travel media. Dotonburi is a popular nightlife spot and a great place to order up a sake tasting platter, or try your hand at Japan’s much loved pastime – Karaoke! Hyogo is one of the seven prefectures of Japan that make up the Kansai region. 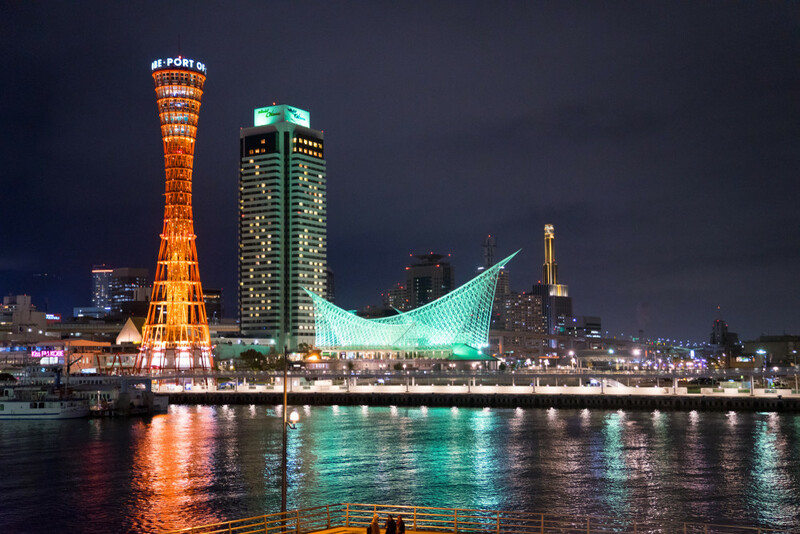 While the region itself is brimming with charm, the capital of Kobe is definitely worth checking out before leaving the Kansai region of Japan. As the name suggests, Kobe is famed across the globe for its sumptuous Kobe beef. Where better place to try this dish or get reacquainted with it than at the source in Japan itself? From the centre of the city, visitors can take cable cars that lead them upwards towards Mount Rokko – a beautiful mountain that looks especially stunning in the autumn when the golden leaves on trees create an almost ethereal atmosphere. Once at the peak, one can marvel at the views of Kobe below, or soak away their travel aches and pains at a natural Onsen (Japanese hot spring). If you have the opportunity to travel around the Kansai region of Japan, it is rewarding to do so at a slow pace. Once can take the shinkansen (Japanese bullet train) from city to city, with short distances between each destination. A wider exploration of this region offers travellers invaluable cultural experiences and an insight into the Japan that exists outside the neon buzz of Tokyo.